Popular infinity chapel veil on sale.The same style is available in ivory in our shop. This veil fits for daily life/church/party/wedding with varies kind of wearing method. 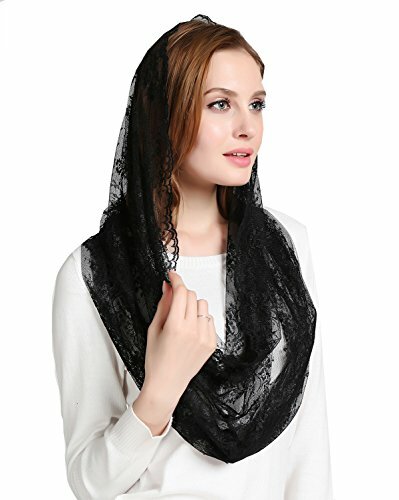 This versatile product can be functioned as a veil or head cover during Mass and may also be used outside the church as a SCARF, SHAWL or ACCESSORY to match a fancy dress during a formal or semi-formal or dress-up occasion.